From following recipes to figuring out sale prices, fractions are a mathematical concept that are used in everyday life, and as such, it’s a necessity to know how to use them. Prior to teaching exactly how to use fractions in recipes and for reducing prices, it’s essential to understand exactly what fractions are. 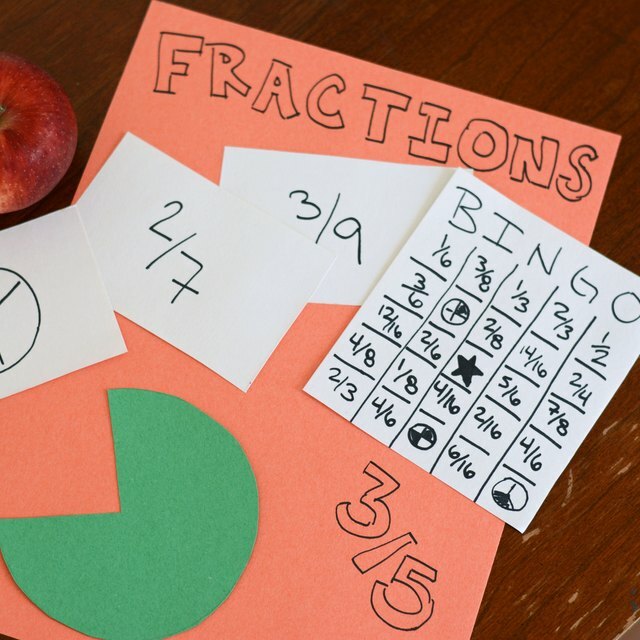 It may seem like a daunting task, but explaining fractions can actually be quite simple if you use concrete items to illustrate them. Write down a fraction on a piece of paper. Inform the person you are teaching that numbers that are written is called a fraction. Explain that we use fractions to illustrate parts of a whole. Point out the denominator and explain to the student that this number represents the whole quantity of something that the fraction is being used to represent. To help the student remember that the denominator is the bottom number, tell her to remember that the "d" in "denominator" means "down." Point out the numerator in the fraction. Explain that this number represents the part of the whole quantity that the fraction is being used to represent. Discuss the fraction bar between the two numbers. Explain that this bar represents the term "out of" in a fraction. For example, if the fraction 1/2 were written out, it would read "one out of two." Set out a small pile of eight colored beads. Ask the student to count the total number of beads. Explain to the student that this number represents the whole quantity, or the denominator in a fraction. Have her write down the number and draw a fraction bar above it. For example, if the total number of beads is eight, the student should write the number 8 as the denominator. 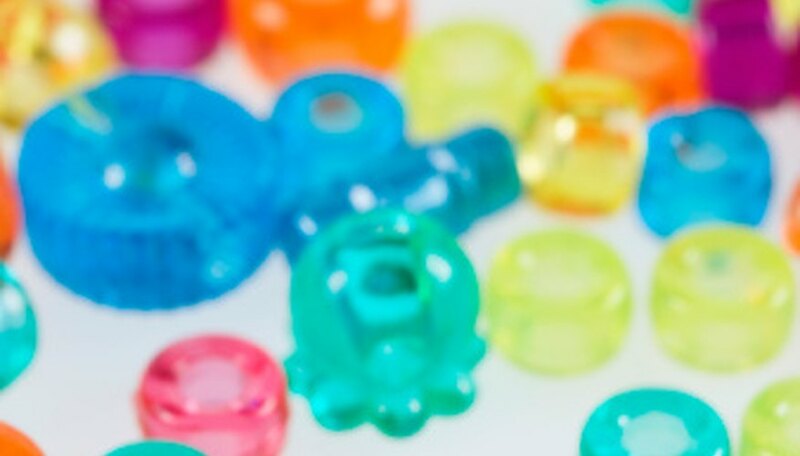 Ask the student to count the total number of a specific color of beads. Explain that the total number of a specific color of beads represents the part of the whole. Have the student write the number above the fraction bar as the numerator. For example, if the student is counting green beads and the total number of green beads is four, she should write the number 4 above the fraction bar. Review the fraction that has been created. In the given example, discuss that the number 8 in the denominator spot illustrates that there are eight beads in total and the number 4 in the numerator spot represents that there are four green beads. To drive home the explanation of fractions, have the student figure out the fraction of each different colored bead. Substitute beads for small candies to make this a tasty math activity. Mae, Lily. "How to Explain Fractions Step by Step." Sciencing, https://sciencing.com/explain-fractions-step-step-8654665.html. 24 April 2017.